Gobi is the original minimalist desert boot, designed so that you can walk barefoot every day in the city. 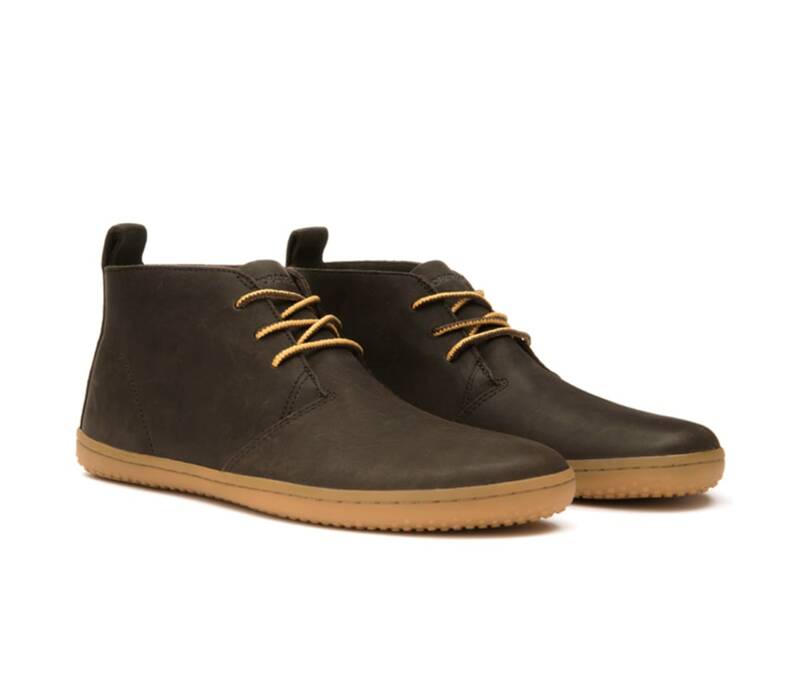 Gobi is made with naturally scarred leather with Vivobarefoot's patented ultra-thin sole. Its light, flexible, and ready for adventure. 2 Suede: 2.2mm thick leather suede, made from the biggest, healthiest animals, giving unparalleled shape and feel. Cork Insole: 3mm of recycled foam with a natural cork deck. Take it out to feel the ground. Leave it in for a little extra warmth. Pittards Wild Hide: African leather tanned by Pittards, from the hides of free roaming cows; animals that have lived a little and made love under the sun.